The extraordinary thing about Barzilay and Branavan’s system is that it begins with virtually no prior knowledge about the task it’s intended to perform or the language in which the instructions are written. It has a list of actions it can take, like right-clicks or left-clicks, or moving the cursor; it has access to the information displayed on-screen; and it has some way of gauging its success, like whether the software has been installed or whether it wins the game. But it doesn’t know what actions correspond to what words in the instruction set, and it doesn’t know what the objects in the game world represent. So initially, its behavior is almost totally random. But as it takes various actions, different words appear on screen, and it can look for instances of those words in the instruction set. It can also search the surrounding text for associated words, and develop hypotheses about what actions those words correspond to. Hypotheses that consistently lead to good results are given greater credence, while those that consistently lead to bad results are discarded. In the case of software installation, the system was able to reproduce 80 percent of the steps that a human reading the same instructions would execute. In the case of the computer game, it won 72 percent more frequently than a version of the same system that didn’t use the written instructions as input, and 27 percent more frequently than a more sophisticated system that used additional artificial-intelligence techniques to improve its performance. 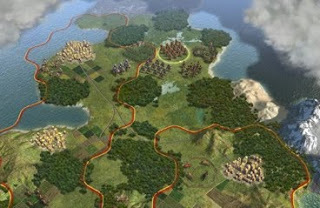 Most computer games as complex as “Civilization” include algorithms that allow players to play against the computer, rather than against other people; the games’ programmers have to develop the strategies for the computer to follow and write the code that executes them. Barzilay and Branavan say that, in the near term, their system could make that job much easier, automatically creating algorithms that perform better than the hand-designed ones. But the main purpose of the project, which was supported by the National Science Foundation, was to demonstrate that computer systems that learn the meanings of words through exploratory interaction with their environments are a promising subject for further research. And indeed, Barzilay and her students have begun to adapt their meaning-inferring algorithms to work with robotic systems.